Justine graduated from the University of San Diego in 2008, earning a Bachelor of Arts degree in political science with a minor in business administration. She earned her Juris Doctor degree from Thomas Jefferson School of Law in San Diego, graduating with honors in May 2012. While in law school, Justine was awarded the Dean’s Scholarship and was placed on the honor roll and distinguished honor roll. She also earned the highest grade in her contracts-drafting class and received the CALI Excellence for the Future Award, Witkin Award for Academic Excellence, and the Jefferson Medal. 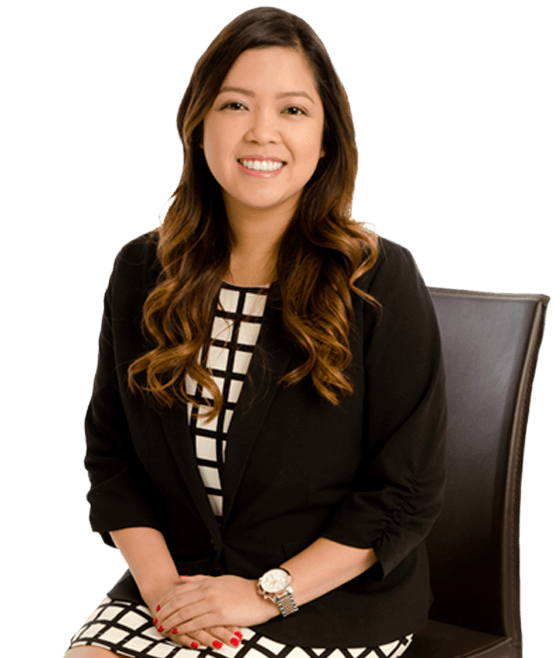 During law school, Justine interned at several civil litigation law firms in San Diego, gaining experience in business/corporate law, personal injury, family law, and bankruptcy. She also served as a legal research assistant for two law professors. Justine was admitted to the State Bar of California in 2012, joined the Bakersfield office of Hanna Brophy in 2013, and transfered to the Orange office in 2016.